Remember Analogue Nt, the supremely cool (and expensive) all-aluminum Nintendo Entertainment System remake from a couple of years back? The company behind the project, Analogue Interactive, is planning on releasing a limited-edition model in celebration of the Legend of Zelda’s 30th anniversary. If you thought the $499 price tag of the aluminum version was expensive, wait until you get a load of this new machine. Analogue is now accepting reservations for a 24k gold-plated version of the Analogue Nt. 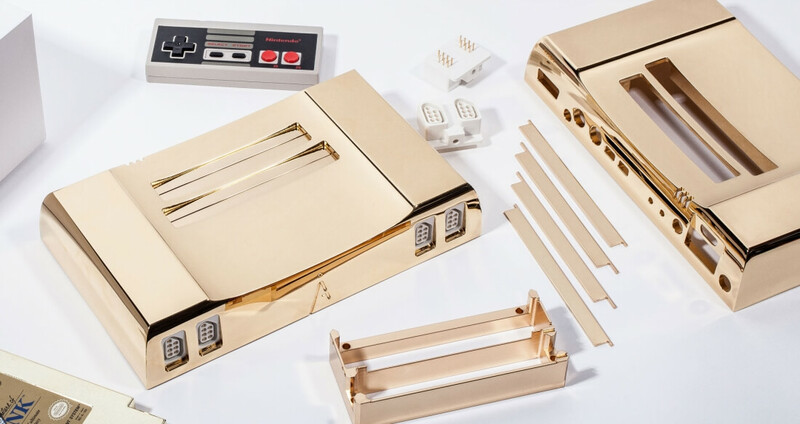 On the product page, Analogue says each piece of the Analogue Nt’s aluminum enclosure is plated from the inside out in pure 24k gold and hand polished. What’s more, the bottom of the unit will feature a transparent cover to show off what’s lurking on the inside. Each order will also include an original, gold-colored Legend of Zelda cartridge, a full cable set or HDMI cable and an RGB or HDMI upgrade. Like its aluminum counterpart, the golden console features the same CPU and PPU found in the original NES (the Ricoh 20A3 and Ricoh 2C02). It also includes four controller ports that are compatible with all original hardware and accessories. Oh, and it’s region free meaning it supports all NES, Famicom and Famicom Disk System games. Analogue is limiting the 24k gold console to just 10 units so if you really want one, you’d better go ahead and put in your reservation before they’re all spoken for.